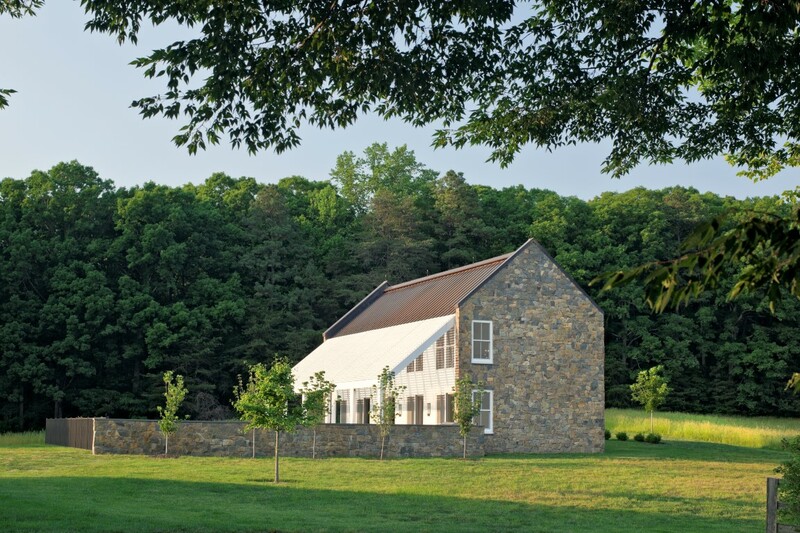 The owners of a Virginia farm desired a swimming pool and guesthouse adjacent to their farmhouse residence. 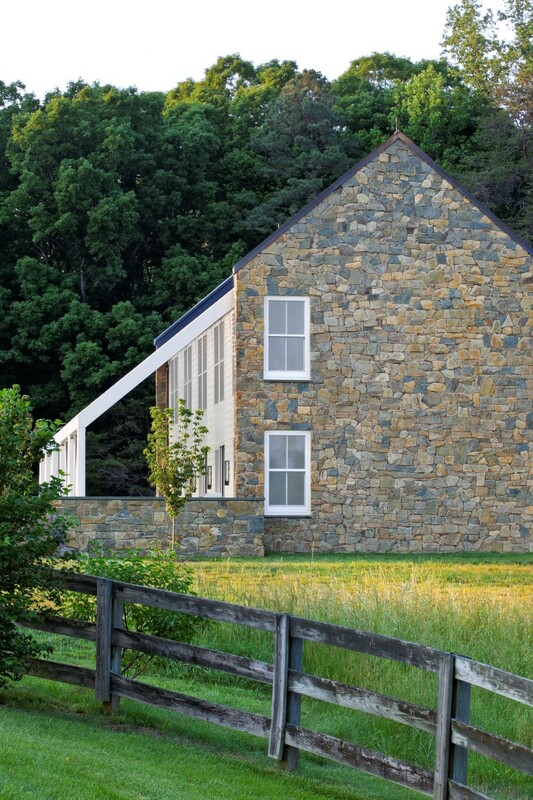 The resulting contemporary “barn” design married the simplicity found in southern rural structures with the material palette of copper, stone and painted wood occurring in the existing farmhouse. 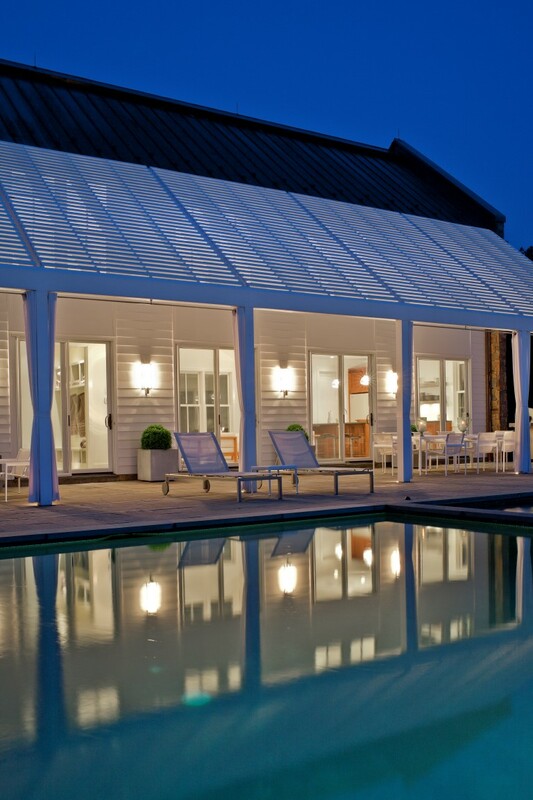 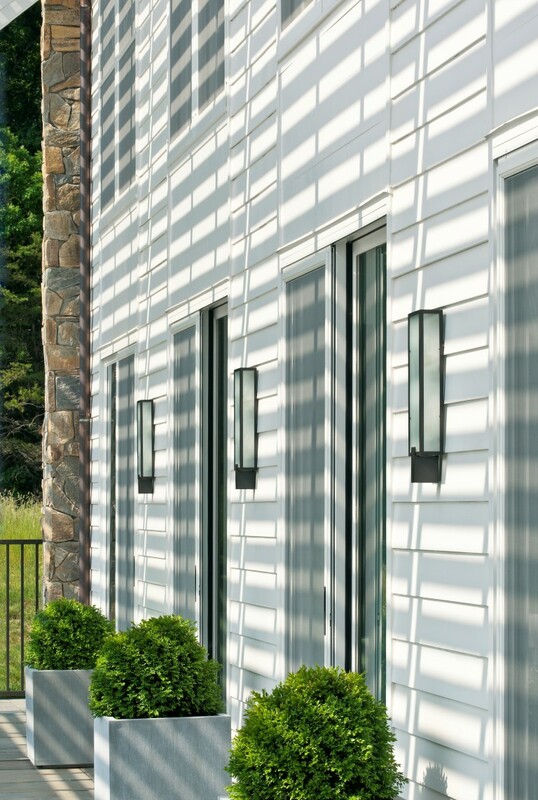 A large trellis running the length of the building provides afternoon shade by the pool as well as contributing to energy efficiency by shading the house itself. 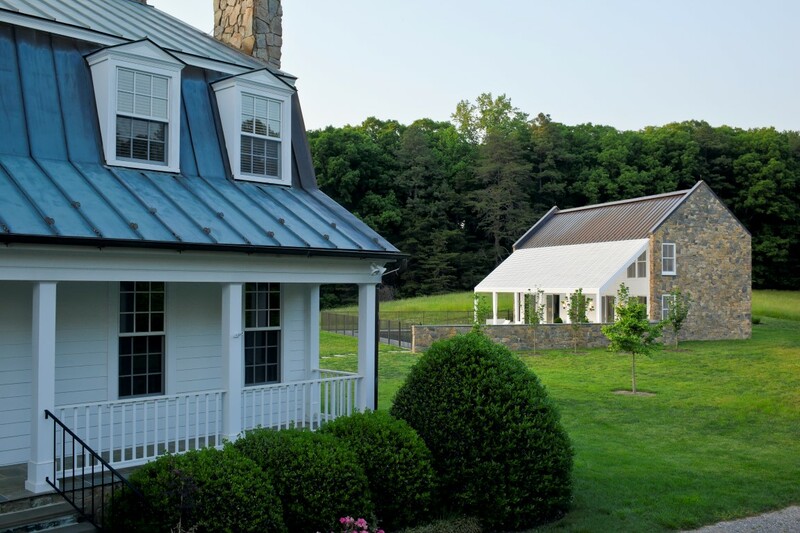 The new “barn” and the existing farmhouse also share an energy efficient geothermal system for heating and cooling. 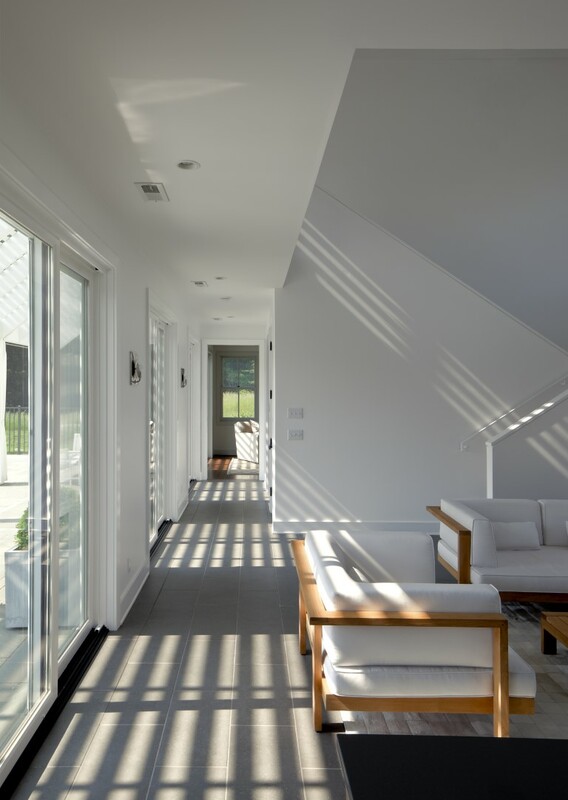 The “barn” interior includes a home office, pool bath, kitchenette and living space on the first floor and a guest suite and exercise loft on the 2nd floor.